It’s small, walkable, picturesque and totally charming. And with each visit I wonder why we don’t visit Victoria, B.C. more often. 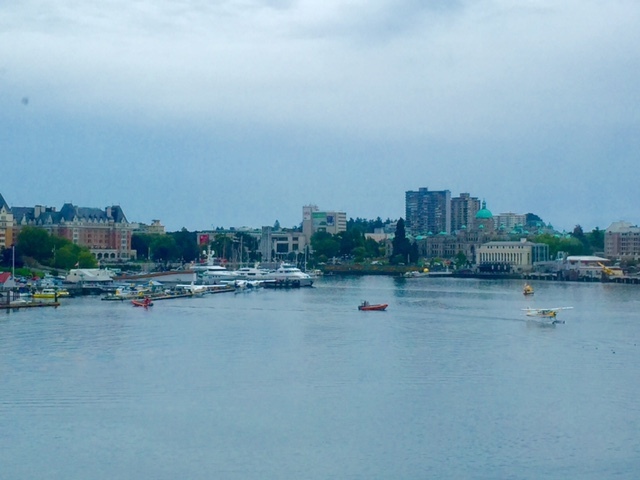 We could’ve spent the day watching float planes land and ferries arrive in Victoria’s Inner Harbour, from the comfort of our room at the Delta Ocean Pointe Resort. There are alpacas, bunnies and birds, but the biggest hit at the Beacon Hill Children’s Farm is the goat enclosure, where billies, nannies and kids approach visitors and demand pets, even going so far as to jump onto laps or even backs. You’ll actually be able to say that a Billy Goat Gruff has your back, and mean it. 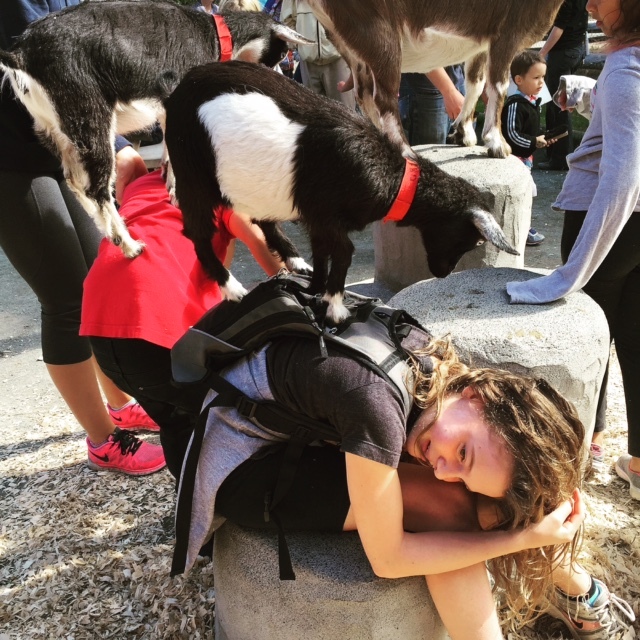 This Little Billy Goat Gruff has definitely got Avery’s back at the Beacon Hill Children’s Farm in Victoria, B.C. 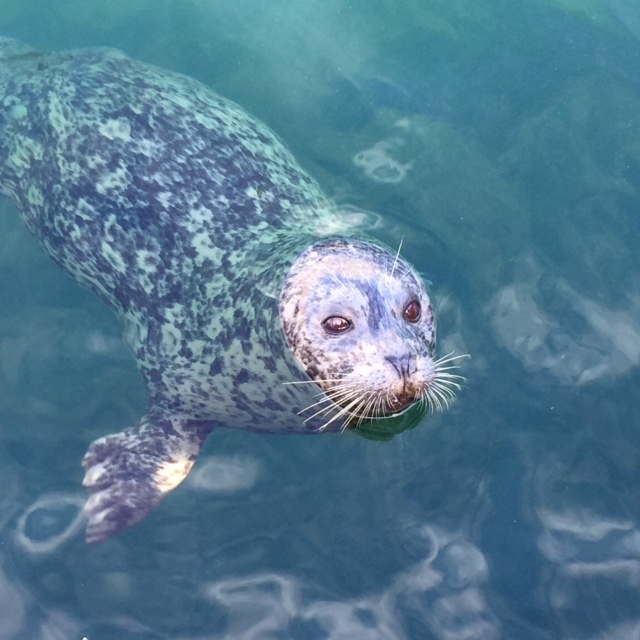 The fish and chips from Barb’s is fantastic, but the cheeky harbour seals swimming off the dock at Fisherman’s Wharf and angling for raw fish bits by splashing with their flippers, steal the show. When your kid asks you if she can feed the seals, don’t hesitate. Pay the $5 — it’s worth every loonie! This adorable and well fed harbour seal appreciated his 10th lunch of the day. Our kids were dazzled by the sheer number of blooms at Butchart Gardens, from azaleas to zinnias. This renowned attraction got its start as a private Eden planted by Jennie Butchart to camouflage her husband’s exhausted (and unsightly) limestone quarry. She got a bit carried away and the garden grew and grew and grew. We marvelled at the Sunken Garden, site of the old quarry, now a riot of colours, and got our zen on in the tranquil Japanese Garden. 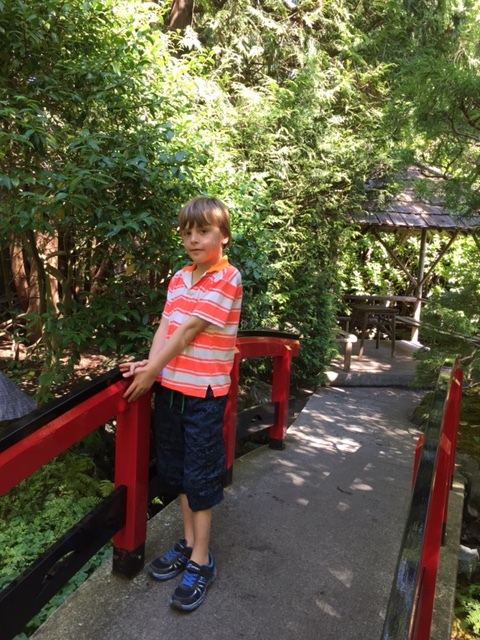 Bridges, pagodas and tranquil ponds make the Japanese Garden at Butchart Gardens a calming oasis (yes, even with kids). You can’t visit Victoria without going out on the water to look for orcas, a.k.a. “killer whales.” We last saw these magnificent creatures performing a cheesy show at SeaWorld in San Diego two years ago, so it felt better and way more natural to see them in their ocean environment on a Prince of Whales tour. We saw a transient pod of six orcas and learned they are an example of “cultural driven evolution,” a group that chose to eat seals over fish. As a result of their mammal meal preference, the group no longer breeds with the resident orcas, which eat salmon. See that tiny speck in the water behind Avery? That’s a killer whale! 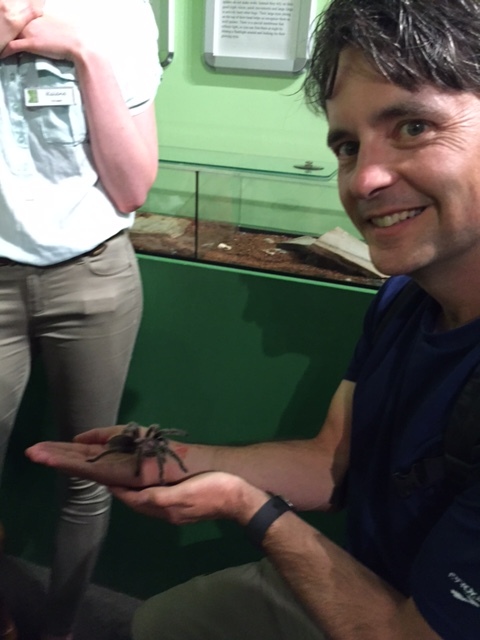 Never balk at an opportunity to hold a tarantula! Tell that to my husband, who cradled a hairy specimen at The Victoria Bug Zoo. Avery was a bit put out they don’t let kids have a turn, but she consoled herself by touching a millipede. The goods: You can do all of the above through the fall, and if you happen to visit Victoria in October, there are oodles of spooky events and activities taking place, from ghostly walks to a Halloween-themed tea for kids at the Fairmont Empress. Plus the Art of the Cocktail festival takes place Oct. 22-23. Stay: The Delta Ocean Pointe Resort made us feel welcome with kids’ play packs at check-in (complete with travel games, a slinky and a puzzle cube), the best view a kid could hope for, and a great location just a short walk from Chinatown or a quick water taxi ride away from the Inner Harbour action. 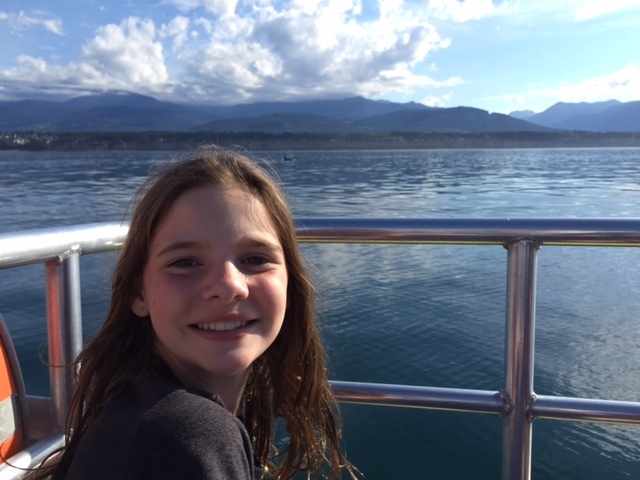 This entry was posted in Travel and tagged BC with kids, Beacon Hill Children's Farm, Butchart Gardens with kids, The Victoria Bug Zoo, Victoria, whale watching tour, what to do in Victoria with kids. Bookmark the permalink. Not that trip. Next time!